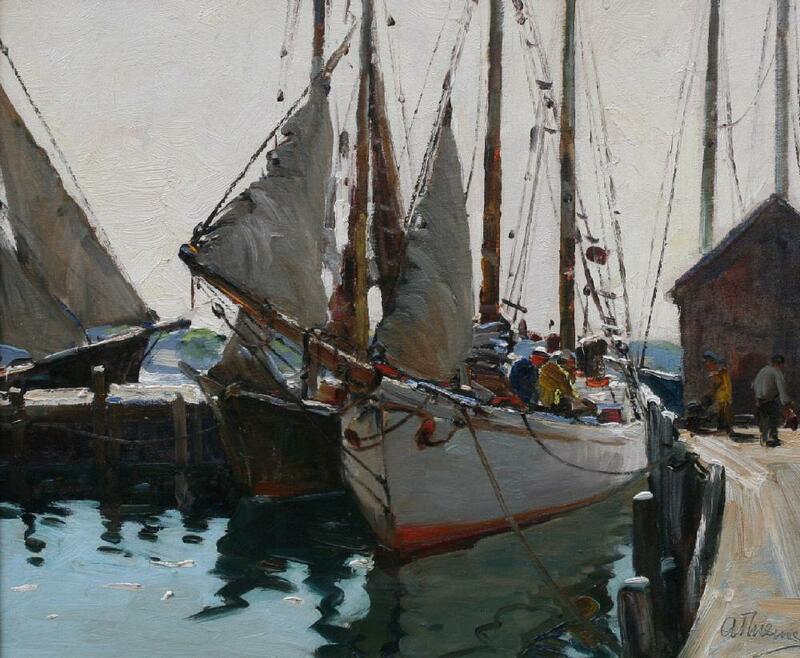 Marine Arts Gallery presents an exhibition and sale showcasing "The Big Three~Artists of Cape Ann School of Art~ Emile A. Gruppe (1896-1978) Aldro T. Hibbard (1886-1972) and Anthony Thieme (1888-1954). Gruppe paintings include views of Rockport's famous "Motif #1", several Gloucester harbor fishing scenes and a colorful fall landscape of New Hampshire. A stunning winter scene by A.T. Hibbard of Rockport Harbor 1942 is included. 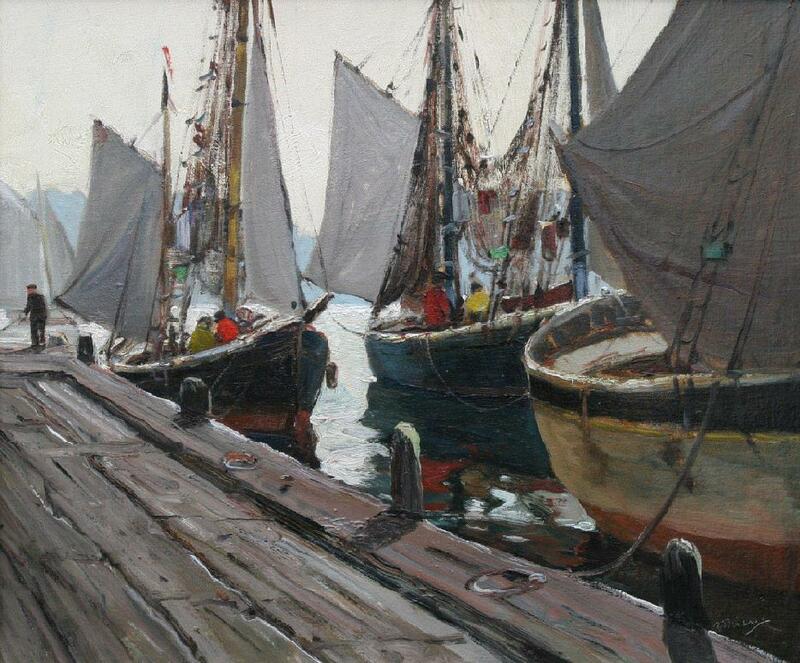 There is also as a pair of Anthony Thieme paintings of Gloucester Harbor that were purchased directly from Thieme's widow in 1966. Paperwork with the paintings include the original bill of sale and cancelled check made out to Mrs. Thieme. The exhibit opens May 30th through June 30th. Marine Arts Gallery is celebrating its 44th year in historic Salem, Massachusetts next door to the Peabody-Essex Museum, 135 Essex Street, Salem, MA 01970. (978)745-5000.